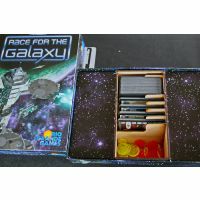 Race for the Galaxy - packed away, ready to play. 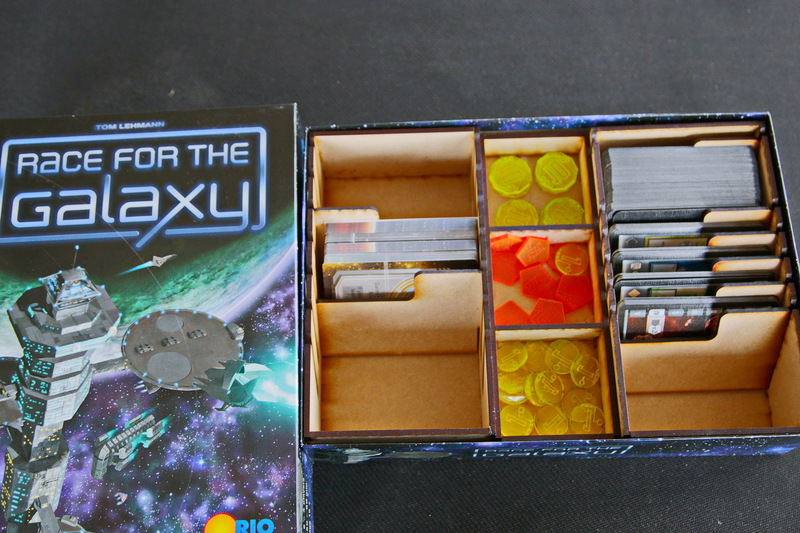 A complete organiser set ready for your Race for the Galaxy. You just lift out the cards and you are ready to go. 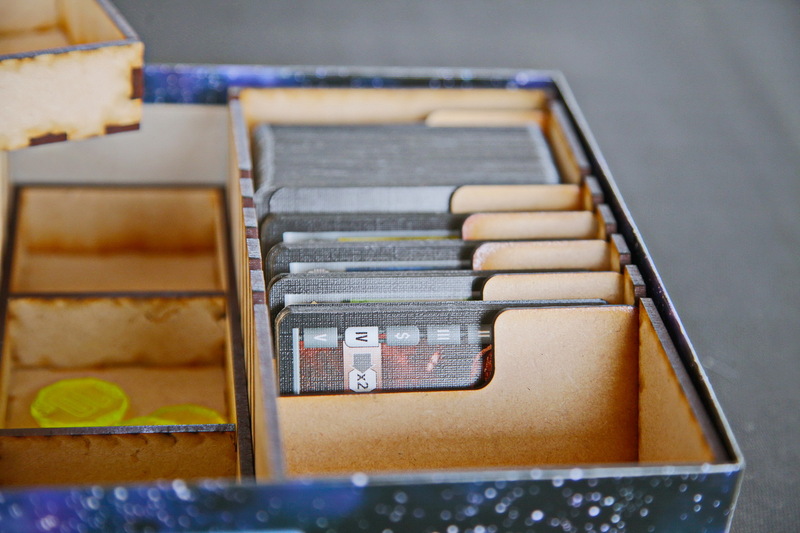 All the cards are stored by section, and are ready to go when you are. 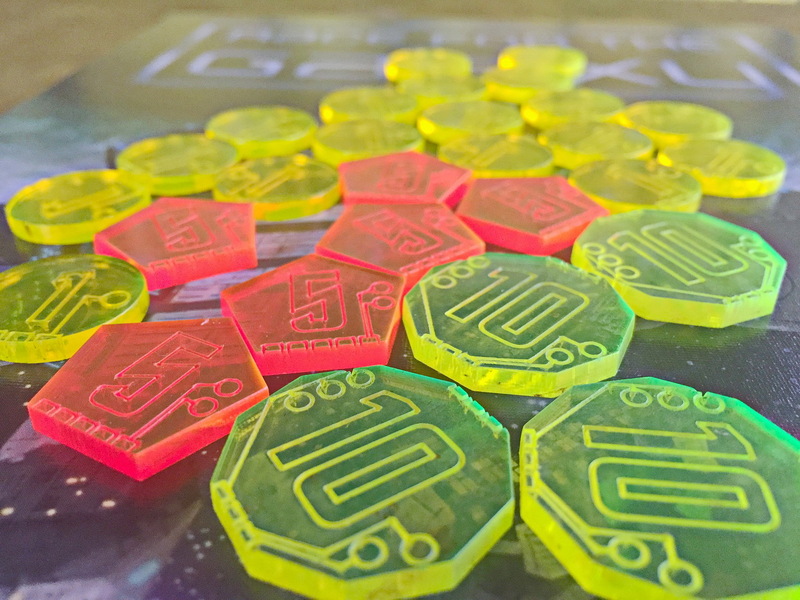 Also includes a full bling set of new victory point tokens as well! The idea of all our organisers is that you just pull out the cards straight to the table, no fiddling, no sorting, just lay them out and you are ready to go. Pull out the trays and lay them straight on the table, already organised. The set is designed to fit perfectly into the standard bo without the insert. 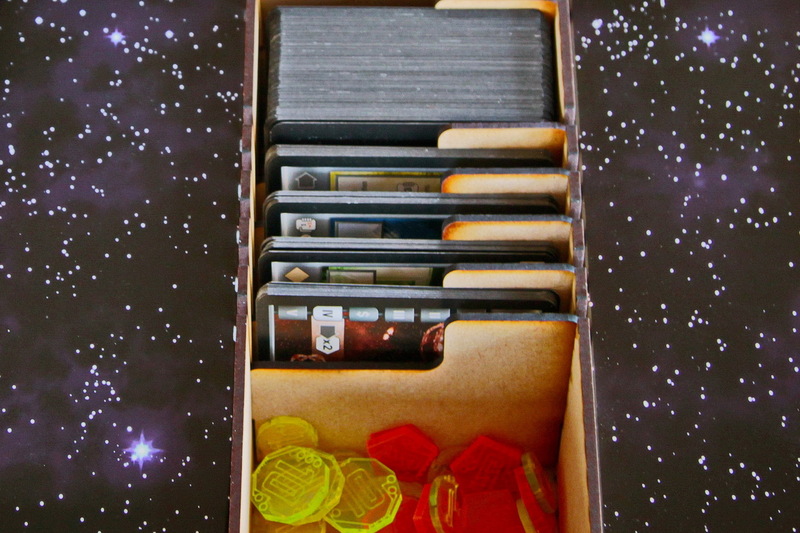 This organiser has lots of extra slots and trays for any expansions you own. AFAIK it will hold Race expansions. 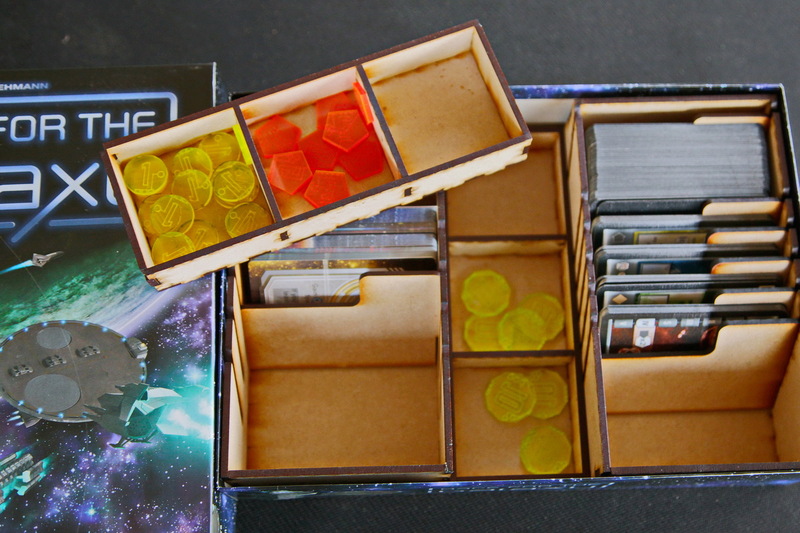 The Base Game only has one tray, that fits in the centre of the insert. 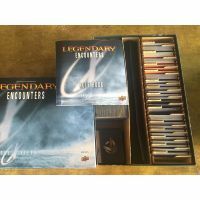 The Deluxe organiser has 2 card trays and 2 token trays that fill the whole box. If you only want the base game. Check out the smaller and light Base Organiser on the link below. (by the way, it's the same price, so you might as well have the deluxe version if you think you are ever going to expand your game). 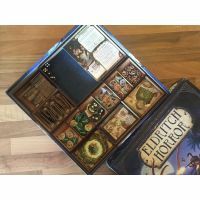 This base version fits inside the insert and can only hold the cards of the base game, plus the new Victory Point tokens.